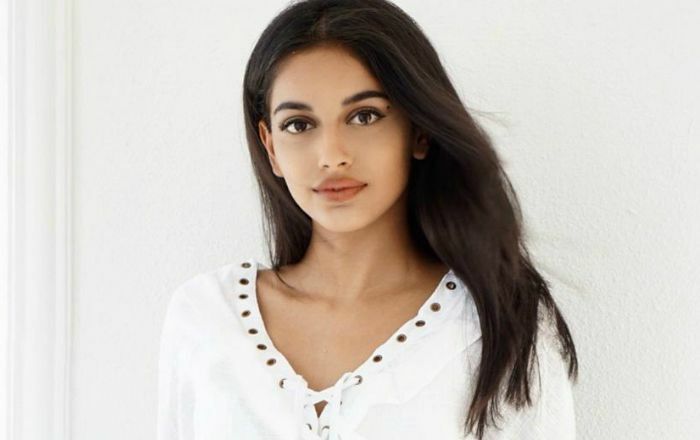 Banita Sandhu is a British-Indian model and actress who is best known for her role as Shiuli Iyer, a co-worker of Dan, in the Bollywood film ‘October’. She became famous with the appearance in a music video “Ek Ajnabee Haseena” for Double mint and a series of television advertisements for Vodafone. Banita Sandhu was born in the year 1998, in Caerleon, Newport Wales, United Kingdom. She has graduated from King’s College London with English Literature as her major. Banita has kept her personal life discreet from tabloids and thus there is not much information available of any relationship she has had in the past or in the present. Banita Sandhu made her acting debut with the Hind 2018 film ‘October’ for her role as Shiuli Iyer, co-worker of Dan, the lead character of the film. Though she hasn’t yet been a cast in any TV shows or series, she has appeared in a number of TV advertisements. She has appeared in many TV commercials for Vodafone, Double mint chewing gum, among others. Her exact net worth is not available at this time. She started off her career as a model and worked in several modeling gigs in the UK as well as in India. As a child artist, Banita has worked in various TV shows in the United Kingdom. She has appeared in several TV advertisements in India and shot to fame overnight after appearing in a series of Vodafone U TB advertisements followed by her stint in “Ek Ajnabee Haseena” double mint advertisement. She was discovered by screenwriter Juhi Chaturvedi after seeing her double mint commercial and suggested to the producers of the film October that she would be a perfect cast for the Varun Dhawan’s co-worker role.